The GeekVape Athena Squonk mod, a compact device fits your hand comfortably. Geekvape Aegis Legend Kit limited Edition with Alpha Sub ohm Tank is made of Magnesium Alloy, the strongest and lightest metal, to achieve extreme portability and durability. Geekvape Aegis Mini Box Mod, with long lasting 2000mAh built-in battery. Here comes the new Geekvape NOVA MOD with attractive colors and high quality material. With the advanced AS chipset, the Geekvape NOVA will bring you an extremely strong vaping. 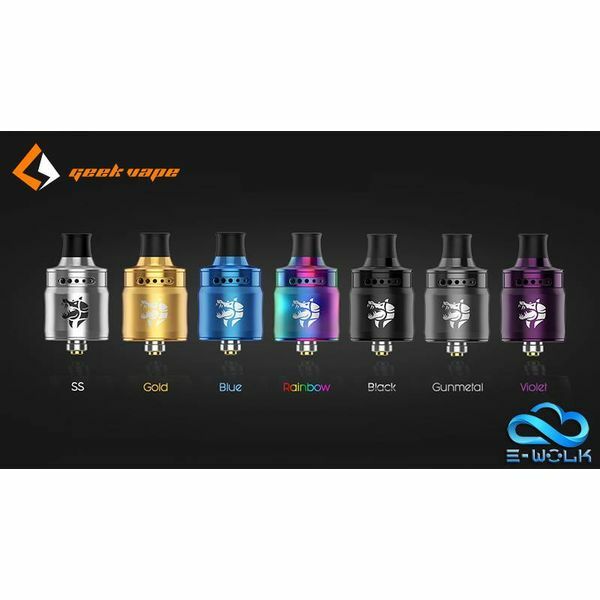 The cotton of coils is from Egypt, Geekvape Alpha Sub Ohm Tank Atomizer with resin application can used for Geekvape Nova Mod, Geekvape Alpha Tank utilizes two different MeshMellow coil.